How to dispose of paint? A common question that is ask when someone is renting a dumpster is how to dispose of paint. Well, it is fairly easy and there is couple of ways of doing it. The most common way is to simply mix it with cement and let it dry. To do this you will need a bucket, bagged cement, a bucket, and a sturdy stir stick. Simply mix the cement and paint in the buck and let dry. It is that simple! We prefer that prior to loading it into one of our bins that a lid be placed on it. Another way is to simply let it dry out. This will be difficult to do if it is left in the can, but you can spread it out on a box (everyone has a million boxes thanks to Amazon), plywood, or even a section of carpet. The best way and most environmentally friendly way is to recycle it. The down fall is it can get pricey and is hard to find locations that accept paint. If you are in the Atlanta area here is a link to a company that does strictly paint recycling: Atlanta Paint Disposal. 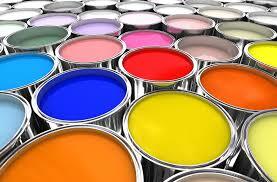 Charities will sometimes accept paint for them to use, but good luck finding one and getting the timing right! If you rent a dumpster from us, Bin There Dump That Dumpsters Atlanta, you are allowed to dispose of paint using the cement or drying method. We can't haul any wet paint. We can reached at 404-692-2838, Atl@bintheredumpthat.com, or online www.AtlantaDumpsterRentals.net.